Robots are on duty in restaurants from China to Boston. They work as chefs, cooks, waiters, hosts, even entertainers. The robots are delivering a lot of good food and entertainment value. The question is: do you have to leave them a tip?? The tip is up to you. But the point is, robotics is at a tipping point for the restaurant industry. In Boston, 4 MIT engineers and Michelin-starred Master Chef Daniel Boulud just opened a robotic restaurant. It's called Spyce and is a fast casual restaurant primarily for the lunchtime, office worker crowd. The robots prepare all the meals. The owners claim the robots cook your made-to-order meal in three minutes. The robots specialize in cooking grains and vegetables. It's an example of the growing use of robotic technology in restaurants. In Harbin, China 20 robots serve diners at the Robot Restaurant. They cook, wait tables and usher in the guests. There's a robot Master Chef, a robot entertainer that sings and a robot greeter that ushers in guests with a few welcoming words. They stand 5 feet tall and command 10 facial expressions. Robot Restaurant is growing in international popularity. The robots prepare more than 30 meals. 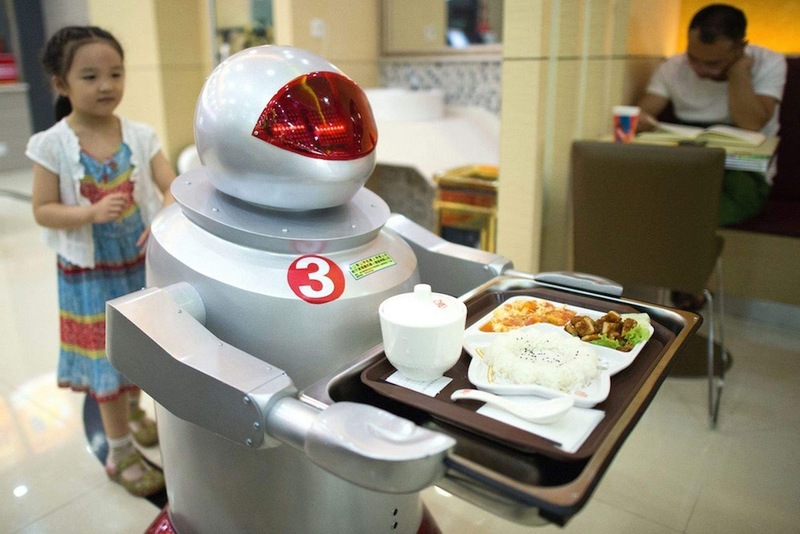 A number of restaurants in China also are replacing their wait staffs with robots. At a recent National Restaurant Association meeting, experts from Microsoft forecast that artificial intelligence and robotics are the keys to the restaurant industry's future. Robots will increasingly cook food, manage inventory, wait tables and deliver food. Automation in restaurants will drive their fate and future. A big future looms for restaurant robots, who also will be big in fast food.